With a few clicks on a key board and a swipe of the mouse, we have access to an unprecedented amount of information the likes of which man has never seen before. But if you have a slow internet connection speed then waiting for that page to load, that video to buffer, or that file to download can feel like an eternity. Akamai Technologies, a cloud services provider, made a list of the fastest internet connection speeds in the world that shows where the luckiest citizens reside. 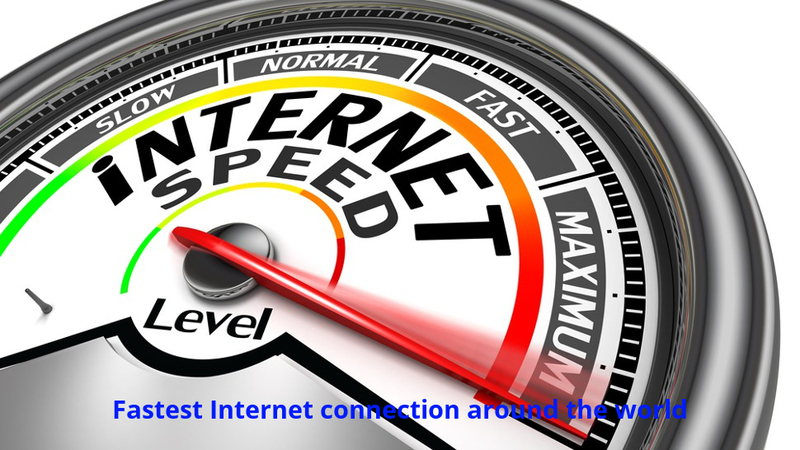 The average global internet connectivity speed was 7.2 megabits per second (Mbps) in the first quarter of 2017, a 15 percent increase from the same time frame in 2016, according to a report from Akamai. The United States is home to some of the world's most successful and innovative high-tech companies. But U.S. doesn't have the fastest Internet speed in the world. It doesn't even crack the top 8. Each of these countries is ranked by the average speed of their broadband internet connection in mega bits per second (Mbps). 10. United States - Average Mbps: 18.7. Internet speeds have increased 31% over the last year. 9. Denmark - Average Mbps: 20.1. Internet speeds have increased 33% over the last year. 8. Japan - Average Mbps: 20.2. Internet speeds have increased 21% over the last year. 7. Singapore - Average Mbps: 20.3. Internet speeds have increased 25% over the last year. 6. Finland - Average Mbps: 20.5. Internet speeds have increased 37% over the last year. 5. Switzerland - Average Mbps: 21.7. Internet speeds have increased 15% over the last year. 4. Hong Kong - Average Mbps: 21.9. Internet speeds have increased 16% over the last year. 3. 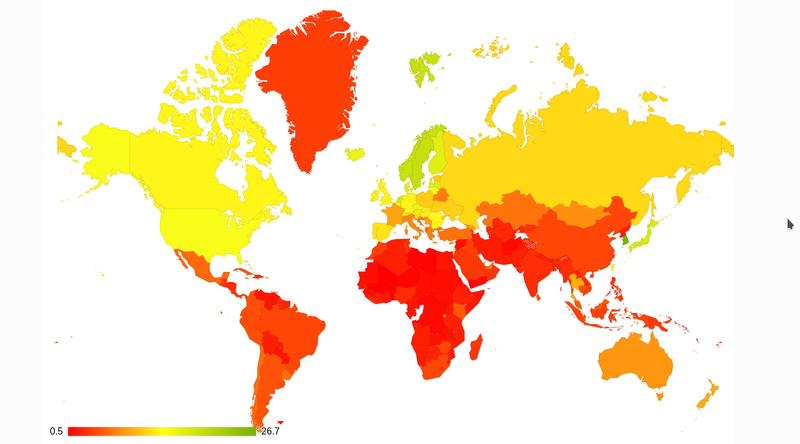 Sweden - Average Mbps: 22.5. Internet speeds have increased 28% over the last year. 2. Norway - Average Mbps: 23.5. Internet speeds have increased 34% over the last year. 1. South Korea - Average Mbps: 28.6. Internet speeds have increased 1.6% over the last year.